Product feature: ingenuity appearance; economy; durability; color touch screen panel, handheld, 360°print. ALT series handheld coding systems bring together many years of professional experience in the development of ink jet technology, and professional provide mature and reliable portable marking solution to every customer at home and abroad. ·Using solvent-based ink, it is difficult to block nozzle based on the prevent clogging design technology，reduce to the time for squeeze ink；Nozzle multiple protection，avoid the nozzle surface damage caused by scrape, rub, hit，To ensure long time trouble-free operation, the inkjet printer reliability is a greatly improve than others. ·Use oil-based ink, the nozzles can not clogged, 100% maintenance-free. ·Humanity structural design, reasonable weight, it is can not easy to tired when long-term operation. ·Unique wheel design, flexible printing on difference shape and surface. ·Whole close for Cartridges and ink system, replace cartridge convenient. Variety colors ink, non-contact printing on different products surface, coding clear and beautiful, and strong adhesion. 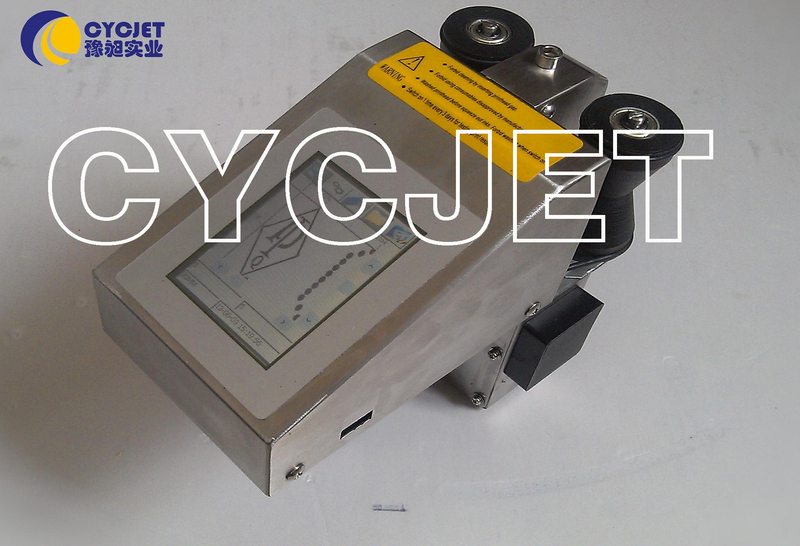 ALT series portable ink jet printer widespread using in Chemical, Building material, steel tube, beverage, Food, Pipe, cable, auto parts, cosmetic, medicament, rubber, post office. The lines unlimited within Max height 35mm. The built-in various font, and horizontal bar、vertical bar、dot-matrix、bold font can be free change. Real Date, Real time, Photo, Letter, Shift group, Serial number, Batch number, Lot number Barcode and 2D code can be free print. Image-style & Chinese or English ( Spanish、Portuguese、Arabic) menu, What you see is what you get. Ink is originally from UK. There are Solvent-based ink (machine should be regular maintenance); Invisible ink (Machine should be regular maintenance); Oil-based ink (machine maintenance free).